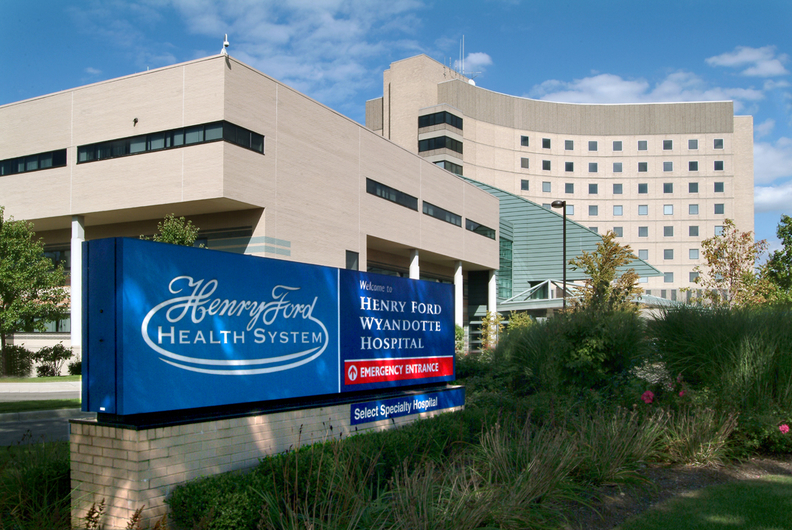 Two of the biggest healthcare organizations in Detroit—Henry Ford Health System and Wayne State University School of Medicine—have signed a long-awaited letter of intent to affiliate, a move that would shake up the healthcare market in Southeast Michigan. The agreement, which is expected to be finalized within six months, covers medical education, clinical services and research, officials said Friday morning in a statement. It also comes on the heels earlier this week of a five-year deal reached between Wayne State University Physicians Group, the medical school's faculty practice plan, and Detroit Medical Center on clinical and administrative services. In May, Crain's reported that Henry Ford and Wayne State have been talking about combining forces for nearly two years under the code name "Project Leapfrog," a reference to the hope the partners could grow their healthcare operations beyond that of other health systems based in Southeast Michigan, including Beaumont Health, Trinity Health and Ascension Health. "I am pleased to inform you that Wayne State University and Henry Ford Health System have signed a non-binding letter of intent to expand our partnership and bring our two Detroit anchor institutions even closer together," M. Roy Wilson, M.D., president of Wayne State, said in a statement. "This is a significant step toward our shared vision of building a joint health sciences center that will transform healthcare delivery, medical education and research, and — most importantly — the health outcomes in our city, and beyond," Wilson said. Under the proposed plan, which Wilson said will take hard work to finalize, the affiliation would designate Henry Ford Hospital in Detroit as the primary institutional affiliate for Wayne State University's School of Medicine, College of Nursing and Eugene Applebaum College of Pharmacy and Health Sciences. Wilson explained that the health sciences center "will not be a physical location, but a separate operating and governance structure with a president, board, budget and governing committees." It would oversee management and financial coordination of the partnership's clinical, research and educational programs and activities, he said. Governing boards for Wayne State and Henry Ford have expressed unanimous support of the plan, Wilson said. "This is a great example of a public university and a private nonprofit organization coming together to serve an important mission for the benefit of our community," Wilson said. "Our goal is to radically improve the health and wellness of those in our community, and beyond—including the most vulnerable populations. We believe we can achieve more toward this goal by working together rather than independently." Wilson also made it clear that the affiliation under discussion is not a merger or acquisition. He said both Wayne State and Henry Ford will continue to work with other contracted partners, including DMC. Based on hundreds of pages of internal documents that Crain's obtained under the Freedom of Information Act earlier this year, Henry Ford and Wayne State have also discussed a possible merger of their medical groups, a combined pediatric department and expanded children's services, a consolidated research enterprise, jointly developed clinical services and projected $200 million in additional revenue for the partners. If consummated, the Wayne State-Henry Ford affiliation would include combining 1,530 physicians into a single medical group, offering pediatric and adult clinical services and combining research, medical student and residency teaching programs. The affiliation would change the healthcare landscape in Southeast Michigan by giving Wayne State's 330 specialists and generalists access to Henry Ford's six hospitals and the 1,200-physician medical group, and expand medical education and research opportunities for the new partners. Wayne State sponsors eight residency and two fellowship programs with 143 residents and two fellows. They include anesthesiology, dermatology, family medicine, otolaryngology, physical medicine and rehabilitation, urology and internal medicine. Henry Ford sponsors 66 residency programs across a broad spectrum of disciplines at its four teaching hospitals with 911 residents and fellows. The combination also could include merging WSU's $247 million research department with Henry Ford's $94 million research department, creating a $341 million-plus research enterprise that would rank 74th-largest in the nation, up from 100th in 2016, according to the National Science Foundation. The University of Michigan is ranked second with $1.4 billion and Johns Hopkins University ranks first with $2.3 billion. The proposed affiliation documents also describe how Henry Ford and Wayne State could develop a 10-part definitive agreement. Each part, which is expected to be at least 60 pages, will cover all aspects of the affiliation, including governance, operations, research, trademarks and licenses, health professions, clinical practice, philanthropy and facilities. Starting in the early 1990s and running through 2010, efforts were made between Henry Ford and Wayne State to forge an expanded medical education, research and clinical services relationship. In 2008, Wayne State broached an affiliation with Henry Ford during a contract dispute with DMC that was prompted by former CEO Mike Duggan withholding about $1 million per month in payments from Wayne State. The contract dispute was resolved and affiliation talks were put on hold. During the affiliation talks in 2010, Henry Ford considered investing in Wayne State's new iBio building, but backed off because of the economic recession. When talks again began in 2016, the relationship between Wayne State and DMC had reached a new low as a variety of disputes erupted over children's and adult services between the two long-time partners. Medical school Dean Jack Sobel, M.D., has lamented that the difference in cultures between public entity Wayne and for-profit DMC would limit the parties to remain "transactional" partners. In a December 2016 town hall meeting, Sobel said of DMC: "It appears our cultures are incompatible and we are looking for other partners." Wayne State had already begun talks with Henry Ford. "Henry Ford Health, Wayne State reach tentative deal to team up" originally appeared in Crain's Detroit Business.